In a past post I mention how to enable Help Viewer Messages for help debugging. 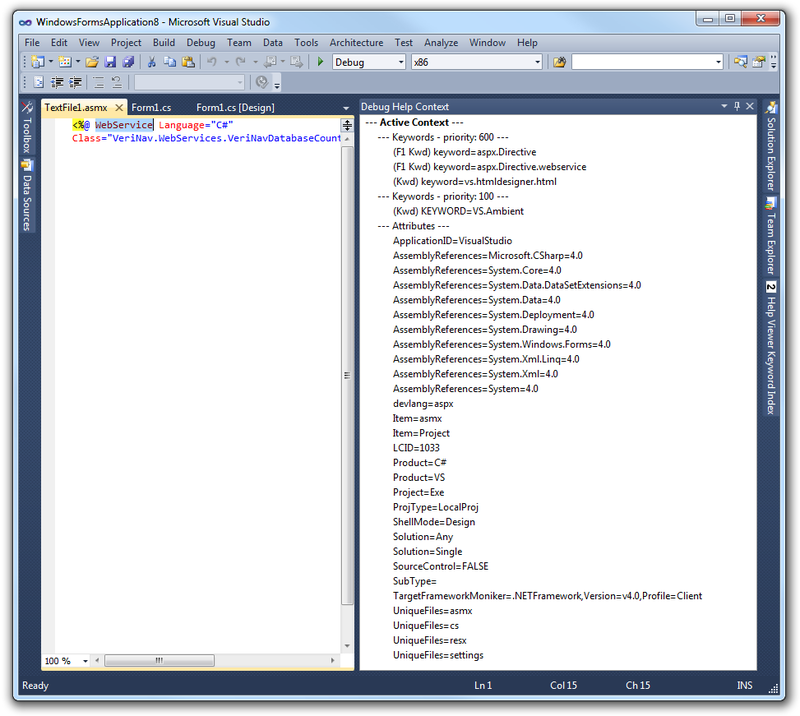 Here's how to enable help debugging in VS 2010. In this snippet of a VS Help Integrators Yahoo Group post, Paul O'Rear [MSFT] mentions a way to switch Help debugging on in Visual Studio 2010. "Display Debug Output in Retail"="YES"
This will result in a menu item under Help in the Visual Studio IDE - "Debug Help Context". 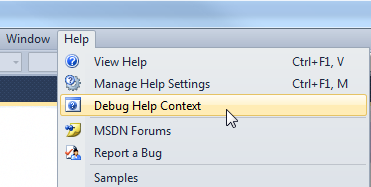 Select that and it will open a "Debug Help Context" pane in the IDE. If you then select anything in the IDE and press F1 - you will see what is being passed to the Help system. After a restart VS 2010 now has a new Help menu item. Click "Debug Help Context" to show the window. The content is dynamic. Here you can see that as soon as I select "WebServices" or click it, the help context has changed and the Debug window immediately shows the Help context info.